Currently I'm using the admin_menu module and have certain roles restricted todo certain things. As an admin I can see the full admin_menu bar in full, but as a restricted user I can only see Add content. Since I'm running the commerce module, I only want certain roles to get the Store dropdown menu. Right now I only see Add content and I'm not sure where to go to enable it to show up in the admin_menu toolbar. Select People or users in admin bar, the user section on the right side there is permissions tab click it. then scroll down to store section, there u can set the permission for each type of user in your site. Just to be clear user account ur are using as restricted go to his account page and see what type of user he is? ex admin or user or author. then tick yes the setting u want for your restricted user in the permission tab. Not the answer you're looking for? Browse other questions tagged 7 drupal-commerce users toolbar or ask your own question. 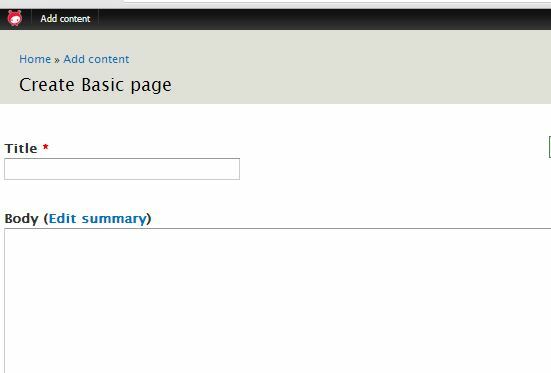 How to customize the admin toolbar in Drupal 7? How to hide/show menu items using based on group membership?